We compare the newly launched Motorola One Power with other stock Android smartphones in the price range. 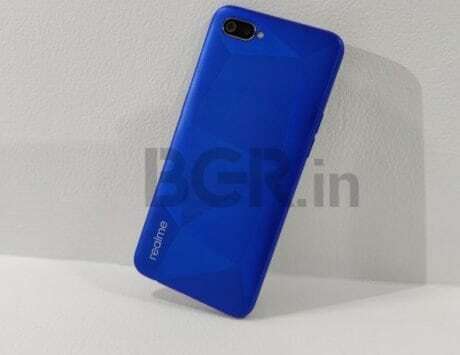 After announcing the Motorola One Power smartphone at IFA 2018 in Berlin, the Lenovo-owned company today launched the smartphone in India. The key features of the smartphone include Android One certification, 5,000mAh battery, an edge-to-edge display with a notch, and dual rear cameras. Placed in the mid-range segment, the One Power will compete with the likes of Xiaomi Mi A2, Asus Zenfone Max Pro M1 and Nokia 6.1 Plus. Here’s a look at how the three smartphones compare. The Motorola One Power is priced at Rs 15,999, and will be available via Flipkart starting October 5 at 12:00PM. Registrations for the sale are already live. The Mi A2 is priced at Rs 16,999, and can be purchased from Amazon India and mi.com. The Zenfone Max Pro M1 prices start at Rs 10,999, and go all the way up to Rs 14,999 for the top-end variant. Lastly, the Nokia 6.1 Plus price starts at Rs 15,999, and is available to buy from Flipkart. The Nokia 6.1 Plus has an advantage over the other three smartphones – it features a metal frame and a front and back glass design. The Mi A2, Zenfone Max Pro M1 and Motorola One Power come with metal back design. In terms of display, all four smartphones feature full HD+ resolution – the Mi A2 and Zenfone Max Pro M1 feature 16:9 aspect ratio, whereas the One Power and Nokia 6.1 Plus feature a notched display with 19:9 aspect ratio. The One Power has a 6.2-inch screen, the Mi A2 and Zenfone Max Pro M1 has 5.99-inch display, whereas the Nokia 6.1 Plus has a smaller 5.8-inch display. The One Power, Zenfone Max Pro M1 and Nokia 6.1 Plus are all powered by a Qualcomm Snapdragon 636 SoC with an octa-core CPU, whereas the Mi A2 is powered by a Snapdragon 660 SoC with an octa-core CPU. Both chipsets are made on 14nm process, with the SD636 being a slight upgrade over the SD660. The One Power, Mi A2 and Nokia 6.1 Plus come with 4GB of RAM and 64GB onboard storage. The Zenfone Max Pro M1, on the other hand, comes with 3GB RAM and 32GB storage, 4GB RAM and 64GB storage, and 6GB RAM with 64GB storage models. The top-end model also comes with a slightly higher resolution primary camera at the back. The One Power and Zenfone come with a dedicated microSD card slot for further expansion, allowing you to use two SIM cards and a microSD card at the same time. In the photography department, all smartphones come with dual cameras the back. The Moto One Power and Nokia 6.1 Plus come with a 16-megapixel primary camera and 5-megapixel depth sensor for adding bokeh effects to your photos. 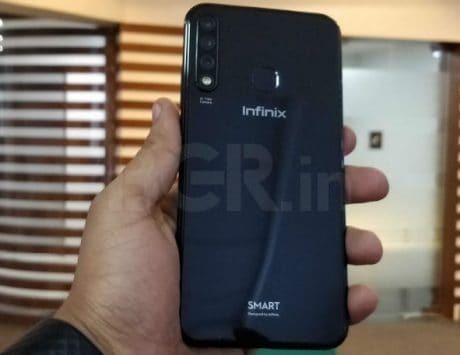 Up front is a 12-megapixel sensor for selfies and video calling on the One Power, and there is also an LED flash for better low-light selfies. The Nokia 6.1 Plus comes with a slightly higher sensor of 16-megapixel resolution. The Mi A2 comes with a primary 12-megapixel sensor with wide-angle lens, and a 20-megapixel secondary sensor with a telephoto lens for 2X optical zoom and bokeh effects. Up front is a 20-megapixel selfie snapper. Lastly, the Zenfone Max Pro M1 comes with a 13-megapixel primary camera and a secondary 5-megapixel depth sensor. Up front is an 8-megapixel sensor for selfies and video calling. To keep things ticking, the Zenfone Max Pro M1 and Moto One Power come with a massive 5,000mAh battery, whereas the Nokia 6.1 Plus and Mi A2 come with 3,060mAh and 3,010mAh batteries respectively. Connectivity wise, all smartphones come with dual-SIM card slots, 4G VoLTE, Bluetooth, GPS and Wi-Fi. In the software department, all four smartphones run stock Android OS, with only a few apps from the respective companies such as the camera app, Moto Assist, to name a few. The Motorola One Power runs Android One program and will be one of the first devices to get Android 9 Pie update starting October.